When I planned to meet my friend Amy for Scrapbook Expo's Thursday night Mega Make & Take Extravaganza, I expected to create a few little things provided by some of the show vendors and spend the rest of the nine-hour crop scrapping layouts with the supplies and photos I put together to work on. I was pleasantly surprised to find that there were eleven very nice make & take projects! 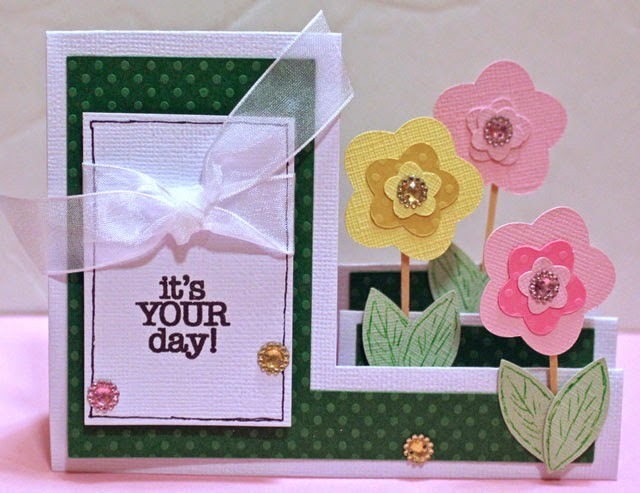 We started with a Magic die cut kit from Paper Wizard Scrapbook Company. I still have lots of photos from my day at Disneyland during the Play! in Anaheim event last year, so I slipped this fun embellishment into my storage binder beside those photos and will be using it on a layout soon! Next up was a cute purse gift card holder from Sparkle N Sprinkle. 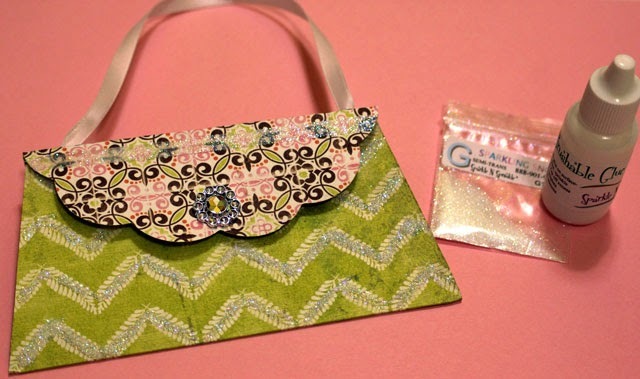 We used Tear-ific Tape to adhere the glitter along the strip at the top of the purse, then used Brushable Glue to include additional glitter (which I placed along the jagged leaf lines in the green paper). Such a sparkly project that I'll definitely use for giving a gift card! 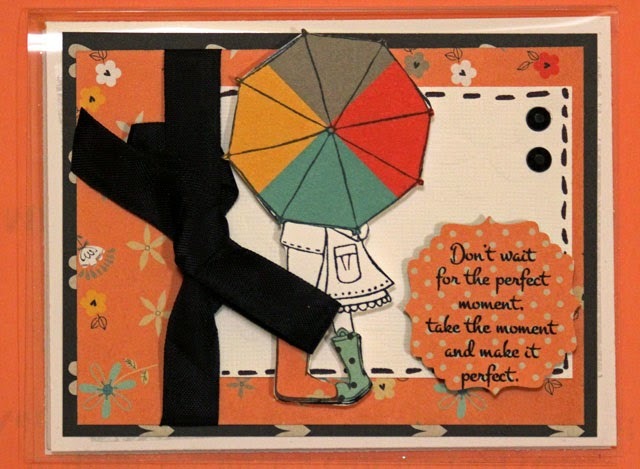 The step-up card from It's Cheaper Than Therapy was fun to put together with lots of little pieces to assemble the card, sentiment and embellishments. The flowers and leaves looked a little plain, so I outlined & added veins to the leaves with a green pen and Amy pulled out some bling for the center of the flowers. The Craft Fantastic kit included materials to create two tray pendants along with three options for wearing/using the pendants (a necklace, a key chain and a clasp). 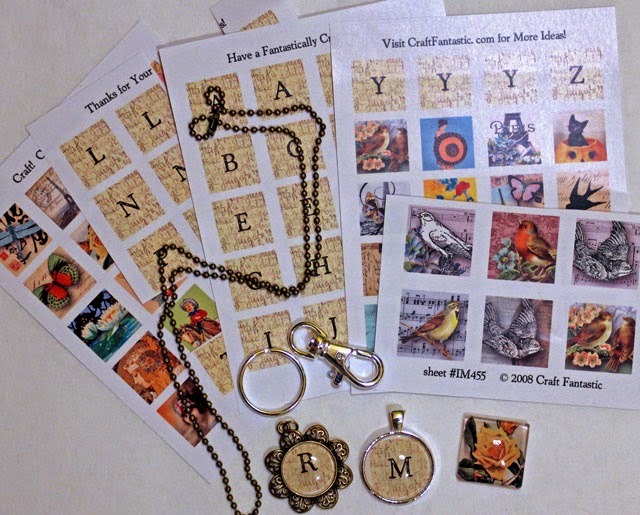 There were five sheets of images to choose from, and I picked the letters "M" and "R" for my pendants. I especially enjoyed this project because it's something I haven't done before. On Friday, I stopped by the Craft Fantastic booth for the free make & take. I chose a sunflower image to make a glass embellishment that I'll probably use on a scrapbook layout. The Rubber Cafe's project was a card created with a clear plastic paper as the base and incorporated a technique that I've tried before but had forgotten about (stamping an image on different papers, cutting out various pieces and reassembling them for a layered image). There were also two punched hearts to decorate the inside of the card. We received a new-to-me product in the Scrap That card kit - a chalk writer that can be used to edge papers and to write chalk messages on black cardstock. (I didn't add the black cardstock to the inside of this card because I didn't think it went with these beautiful papers.) We also received a full package of brads, so I have some leftover to use on another project. Krazy Kreations shared how to use outline stickers on pre-made glitter paper and shimmer sheetz to create embellishments that we used to decorate a note pad. We also included twine and a sentiment on the cover of the note pad. I think I have some of these outline stickers in my stash that I've never used, but I'll definitely be adding them to a project now that I've seen how great they look! Next there were three layouts (one 6x6 and two 12x12), which I started but didn't complete. I'll be adding photos and completing those layouts to share with you soon. The final project of the night from Bee Creative was a simple pocket envelope and two pre-stamped tags. 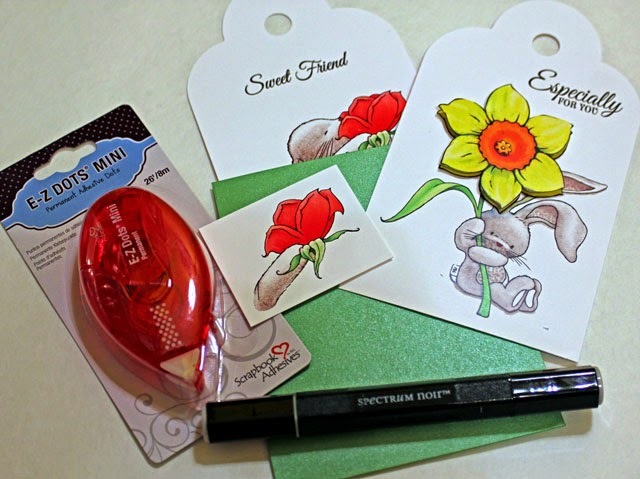 The kit also included a Spectrum Noir alcohol marker for shading the stamped images and an EZ Dots Runner. This last session began at 10:30 pm and I have to admit that I didn't do anything with it as I was starting to feel the effects of a full day and tons of INSPIRATION! I did put the pocket together & add some shading to one of the tags earlier today. 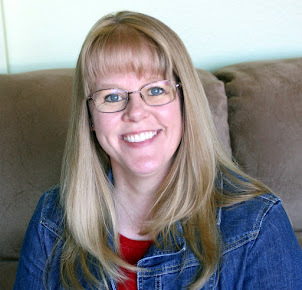 You might remember that I mentioned in my first post about Scrapbook Expo that it was a whirlwind of activity . . . this was just the first of the two days I was there!! 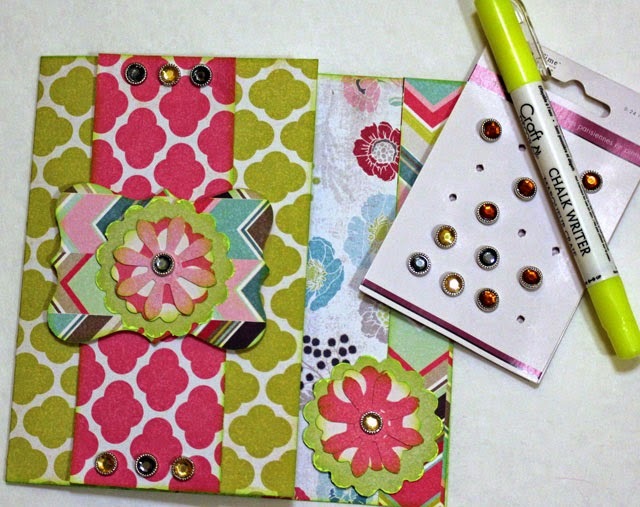 In one of the make & take kits, I also received a lovely Sizzix embossing folder. However, I do not have a Sizzix (or any other machine) that I can use this folder in, but I'm hoping one of you can. 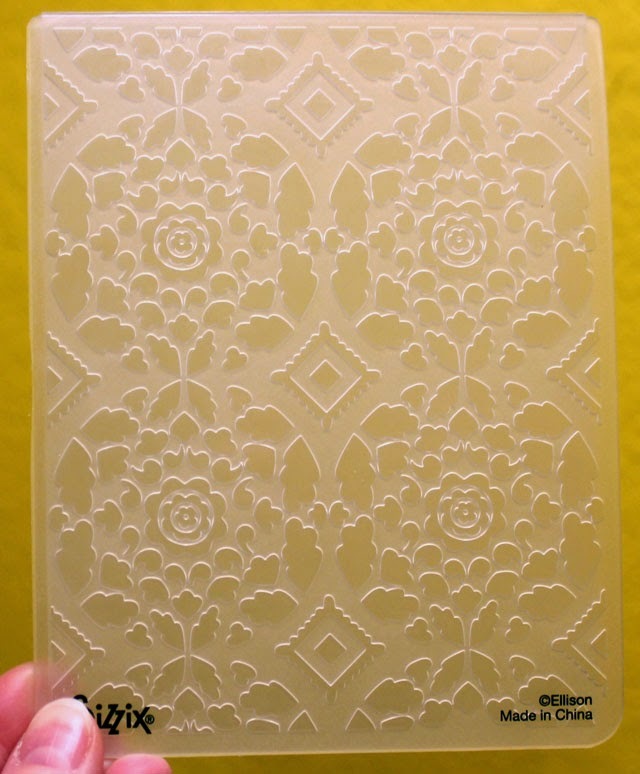 If you'd like to be in the draw for this embossing folder, please leave a comment letting me know what type of machine you have & how you might use this folder. (I'll pick a winner on Monday, March 2.) Otherwise I'd love to hear from each of you which of these make & takes is your favorite! 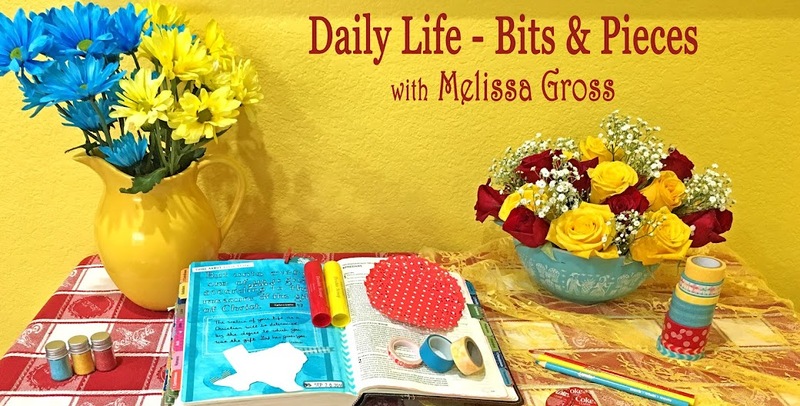 One of my primary criteria for a successful make-n-take is that it result in a finished project that is USEFUL and not just additional clutter in my scrap stash. For that reason, I'm a big fan of all the cards - great to add to the stash of those available for birthdays, thinking of you, etc! Gosh, I love all the make 'n takes y'all did. I'm definitely going to take advantage of that the next time I go to the Expo. My fave is the step up card. Very cute! I'd love to be considered for the embossing folder. I have a bi shot and would def use it a lot. Thanks girl! That embossing folder would be perfect for my pages of the Library of Congress in Washington DC.the arches, the windows, the patterns! My machine of choice is the Cuttlebug. 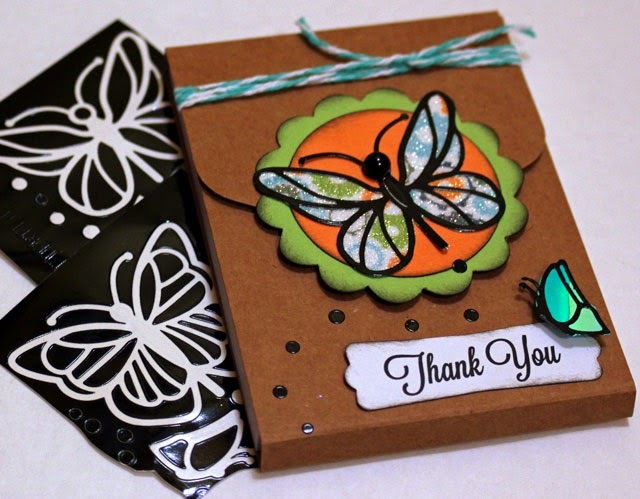 I like it for die cutting, but I LOVE it for embossing! Thank you for all of your great ideas and sharing with us your talent and your life! They're all neat make-n-takes. I just got a Big Shot so would love a chance for the embossing folder. It would make great flowers or used in layering. What an amazing opportunity to try out new techniques and products. Fabulous make and takes! Great ideas too!! Sounds like a fun time was had! The resort does look beautiful too.